The process of finding and booking sports facilities can be time consuming and frustrating for players. Sports players and teams do not have easy access to relevant, up to date information to make an informed decision when booking the sports facilities. Slow responses and unanswered enquiries often results in booking abandonment, less sport played and under utilised sports facilities. Conversely, councils and other operators often do not have the resources to implement secure technology or conduct extensive digital marketing campaigns to reach players in the local community. The sports industry hasn’t kept up with other on-demand economies (accommodation, travel, dining, retail) meaning that the public aren’t aware of how easy it can be to get involved in sport, nor do they know exactly what facilities are nearby. Turnstile by MyLocalPitch offers a full bookings management and marketing service on behalf of Councils, providing a professional, cost-effective way to streamline the management of sports bookings, whilst increasing revenues. MyLocalPitch is easlily integrated providing an efficient way to promote sports facilities to a wider audience, implement online bookings and boost physical activity. By using MyLocalPitch’s search portal and custom filters, sports players are presented with an easy way to identify and book their nearest and most suitable sports facilities, all on one platform. By displaying the availability of facilities in real-time, as well as facilitating booking and payment in one-click, MLP will reduce booking abandonment and promote participation in both casual and organised sport. 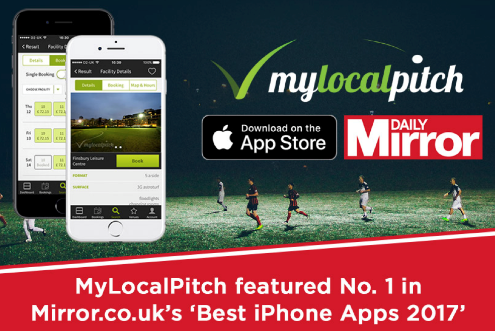 MyLocalPitch is proud to have been voted the number 1 iOS App of 2017 by the Daily Mirror. MyLocalPitch works with Opertaors of sports venues to help provide management of sports bookings and digitalise their sports offering, in part by facilitating the transition to online bookings. Utilising MyLocalPitch’s technology creates a better user journey for customers and increase booking conversion rates. MyLocalPitch acts as an extra team member, providing the operational support, technology and digital marketing expertise and ensuring the ease of access of sports venues is at a 21st Century level. 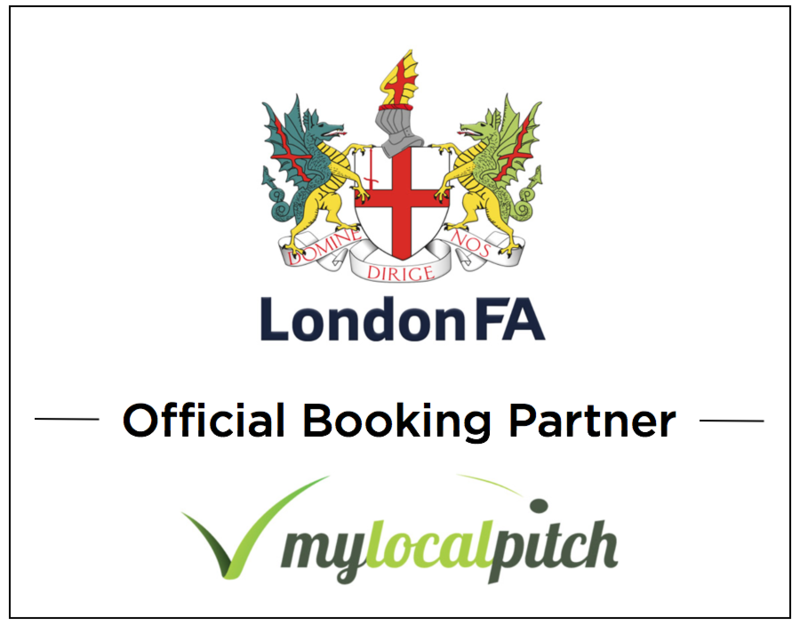 MyLocalPitch are looking to establish relationships and partner with local authorities who are interested in modernising & streamlining their sports offering. Who is this product aimed at? 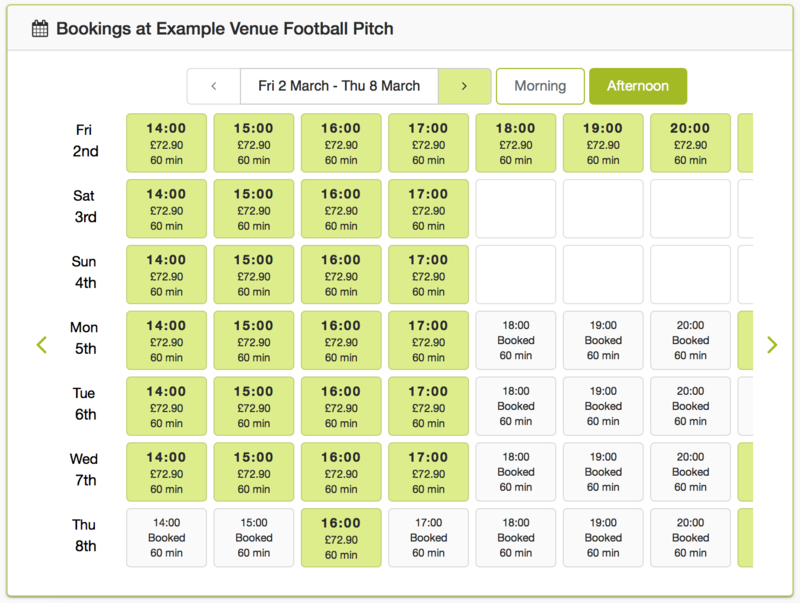 MyLocalPitch uses the availability data provided to us directly from operators and softwares such as Legend, Gladstone and XN Leisure, as well as data from Openactive and imin, to publish and promote information about sports facilities - including location, opening hours, real-time availability and a booking and payment API to allow seemless booking and payment online. MyLocalPitch creates participation data & player behaviour reports, including demand heatmaps, participation frequency, value of sports sessions, preferred sport formats etc. Utilising our data analytics tools, MLP will then be able to share valuable data reports to partners, helping them to create strategies and implement solutions to increase sports participation. Under the General Data Protection Legislation (GDPR), both MyLocalPitch and the Client act as the Data Controller, and MyLocalPitch also acts as a Data Processor. No data is shared with third parties. MyLocalPitch is software agnostic by design, which allows us to integrate with all types of booking software. Our in-house developer team have a proven track record in performing successful integrations with all leading software providers. MLP will therefore be able to simplify the user booking journey and increase the revenue generated from sports facilities, without creating any additional work for our partners. If a council has already opened their data through OpenActive their facility bookings data can be published on the MyLocalPitch platform. MyLocalPitch is able to digitalise sports booking within 4 weeks. MLP have a proven track record in working alongside Local Authorities and the UK’s leading sports operators, facilitating online bookings, increasing exposure through digital marketing channels & increasing bookings revenues. Our in-house developers specialise in software integrations, ensuring that functionality meets your requirements, providing a seamless booking experience with no additional workload for staff. MyLocalPitch are fully GDPR compliant and in the process of qualifying for the highest level of GDPR certification. A long list of products can be daunting. If you'd prefer to tell us what sort of thing you're looking for, we can guide you to the right choices. With the exception of icons and images, this work is licensed under a Creative Commons Attribution-ShareAlike 4.0 International Licence. All source code is licensed under GNU GPL v3.